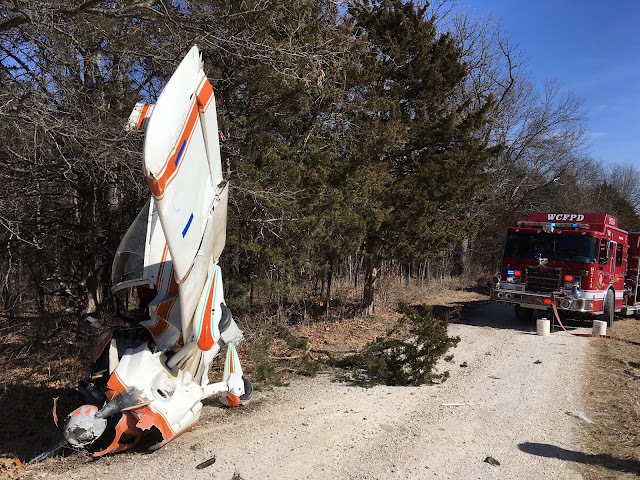 During a personal flight, the private pilot reported that he made one pass over the runway, which was oriented east to west, and noted a crosswind from the southwest. During final approach, the pilot extended the flaps "one notch" to add "a little speed" to compensate for the crosswind. The pilot then looked down at the instrument panel to check the rate of descent; when he looked back outside, he saw a small tree limb near the airplane's right wing tip. The pilot made a left control input, but the right wing tip impacted the tree, and the airplane turned slightly to the right. 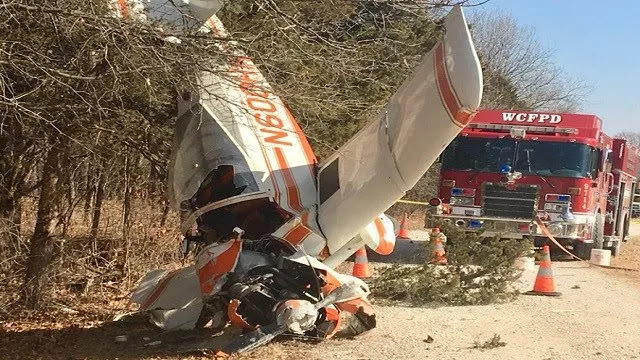 The airplane impacted several other trees and then nosed down into the ground. The pilot reported no airplane mechanical malfunctions or failures. The pilot's failure to maintain adequate clearance from trees while landing in crosswind conditions. On February 8, 2018, at 1152 central standard time, an amateur-built T-18 airplane, N600HH, collided with trees and terrain during landing at Woodland Airstrip (MU89), Troy, Missouri. The private pilot, who was the sole occupant, sustained serious injuries and the airplane sustained substantial damage. 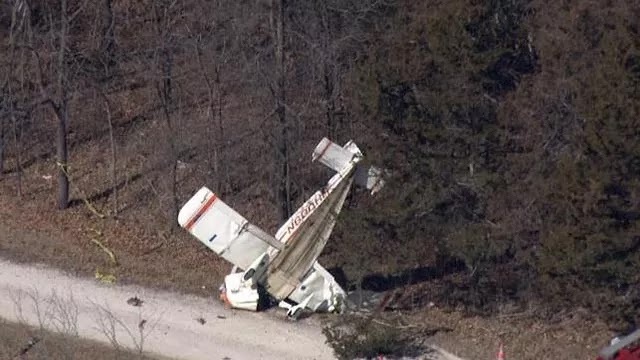 The airplane was registered to and operated by the pilot under the provisions of 14 Code of Federal Regulations Part 91 as a personal flight. Visual meteorological conditions prevailed at the time of the accident and no flight plan had been filed. The flight departed Creve Coeur Airport (1H0), St. Louis, Missouri, about 1030. The plot reported that upon arrival at MU89 he made one pass over runway 27 and noted a crosswind from 230° at 10 to 20 knots. The pilot continued into the traffic pattern for a full stop landing on runway 27. During final approach while aligned to the left side of the runway and about 90 mph, the pilot extended the flaps "one notch." The pilot added that he wanted a little speed due to the crosswind on final. The pilot looked down at the instrument panel to check the rate of descent and when he looked back outside he saw a small tree tip near the airplane's right wing tip. He initiated a left control input, but the right wing tip collided with the tree and the airplane turned slightly right. 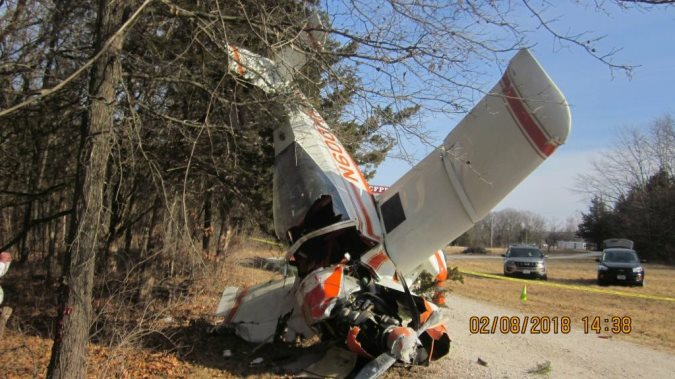 The airplane continued into several trees and then nosed down into the ground. The pilot reported that there were no airplane mechanical malfunctions or failures. The responding Federal Aviation Administration (FAA) inspector performed a postaccident examination of the airplane and accident site. There was evidence of broken tree limbs about 30 to 40 yards east of the main wreckage. The airplane came to rest next to a tree line in a nose low, vertical attitude (figure 1). Flight control continuity was confirmed and no preimpact anomalies were evident.